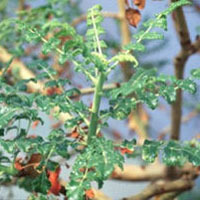 Boswellia, an herb used in Ayurvedic medicine to treat arthritis, has reduced rheumatoid arthritis symptoms in most reports. Supplementing with boswelia may help reduce severity and encourage remission. Some doctors recommend using the anti-inflammatory herbs boswellia, turmeric, willow, and topical cayenne ointment for bursitis. In case reports, several patients with chronic cluster headaches showed improvement after supplementing with Boswellia serrata extract, though more research is needed to confirm these findings.